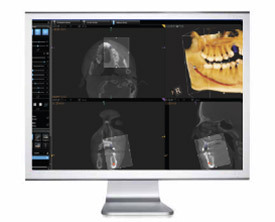 Because our practice is dedicated to providing you with the safest and most convenient treatment options available, we utilize advanced digital X-ray technology in our office. A Digital Panoramic and Cephalometric X-ray allows us to take an image of the tooth or teeth and put it into an imaging program. Within this imaging program, we can take a very close look at the teeth and surrounding structures with amazing accuracy. As a benefit to the patient, the digital X-ray also provides nearly 80% less radiation than a standard x-ray. 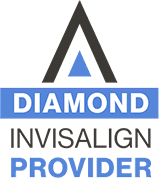 Dr. Janisse is a certified Invisalign® DIAMOND provider. As an alternative to braces, Invisalign uses a series of clear, custom-molded aligners, which are designed to solve a range of dental problems including spacing and mild crowding. Although Invisalign treatment is not recommended for everyone, Dr. Janisse would be pleased to discuss this option with you. 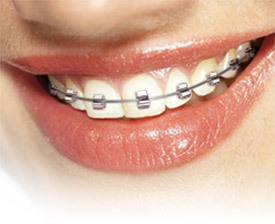 SPEED Braces use self-ligating technology to create the smile you've always wanted with faster treatment times, increased aesthetics, and amazing comfort. SPEED Braces eliminate the need for elastic ties used with traditional braces by using an energy-storing component called a Spring Clip™. The Spring Clip, made of a super-elastic space age material, follows the programmed instructions of Dr. Janisse by applying a light, continuous force to gently move your teeth to the correct position. 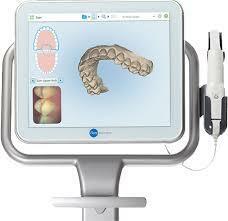 We use Carestream Dental systems in our office for effectively managing patient records. Using the latest in computer technology, this system enabled us to make an environmentally green decision to switch from paper records to computerized data. While seeing a patient, Dr. Janisse, along with his staff, can instantaneously track all treatment information from the computer terminal beside each chair. This is just one of the ways that we aim to keep our office on the cutting edge of orthodontic technology. 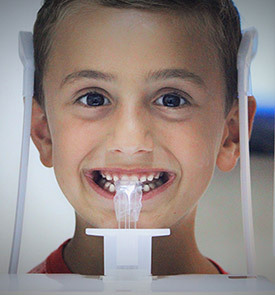 The use of digital cameras and the integration of digital video-imaging with the Carestream Dental systems permits each patient to see a very detailed view of their dental problems prior to starting treatment. These digital photos are combined with digital images of initial X-rays to obtain precise measurements of the teeth and jaws. We understand the importance of providing you with online convenience for managing your patient information, which is why we are excited to partner with Sesame Communications in our effort to stay connected. Using our convenient online services is easy. 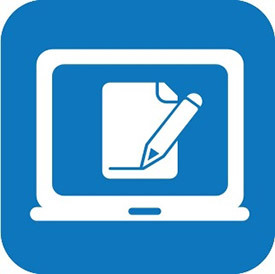 You simply log in to your account through our website, where you can access all of your patient information, online 24-7, in a safe, secure environment that exceeds HIPAA requirements. We are pleased to offer you this convenience free of charge, and to share with you all of the amazing features offered by Ortho Sesame, including email and text message reminders, financial reminders and online bill pay, and access to your records. 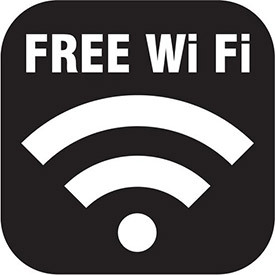 We are pleased to offer our patients free Wi-Fi access in our reception and treatment clinic areas.